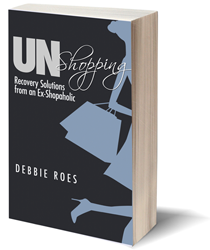 My first book, “UnShopping: Recovery Solutions from an Ex-Shopaholic,” was published in May 2014. 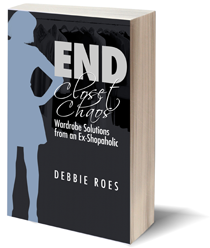 This book contains the best of my smart shopping solutions from “Recovering Shopaholic,” categorized into logical sections related to various shopping-related situations and challenges. These solutions have all been revised and enhanced from the original versions that appeared on the blog. A. If you read this blog regularly, you may have raised an eyebrow at my referring to myself as an “ex-shopaholic” in the subtitle of the book. I actually struggled a bit with that one myself, but I ultimately decided to go with it, for two reasons. 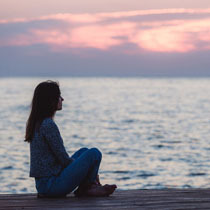 First, the book title is much stronger with “ex-shopaholic” than “recovering shopaholic” (especially since “recovery solutions” is also in the title). And second, I believe in the power of intention. While I may not be fully recovered from my compulsive shopping problem yet, I’m well on my way and I believe that I will be there before too long. So I decided to declare myself as an ex-shopaholic now, stand in that place of power and intention, and continue working on my recovery each and every day.